Chinoiserie was introduced to Europe during the 17th and 18th centuries. 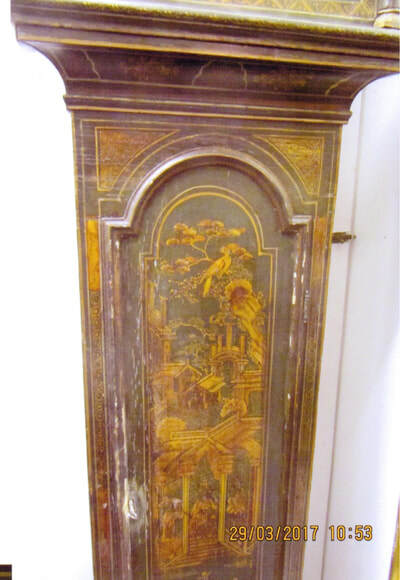 With a blend of Eastern and Western style features, furniture, interiors, tapestries and objet d’art carried fantastic motifs portraying idealised oriental scenery with exotic birds, dragons, flowers, figures, pagodas and the most intricate lattice work. 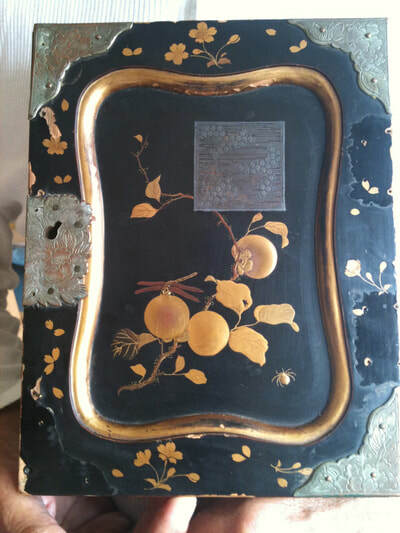 The fascination and fantasies grew rapidly, as the far Eastern trade expanded... continue reading about my introduction to Chinoiserie​ . 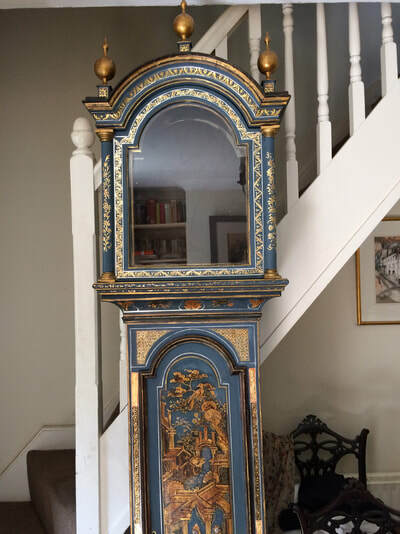 Fully restored Lapis Blue Chinoiserie Long Case Clock. 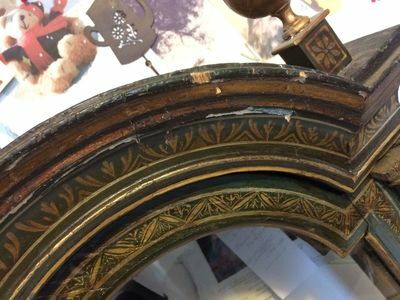 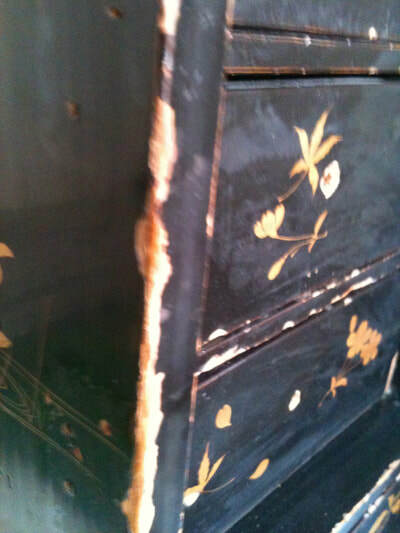 Restoration of antique pieces can be undertaken. 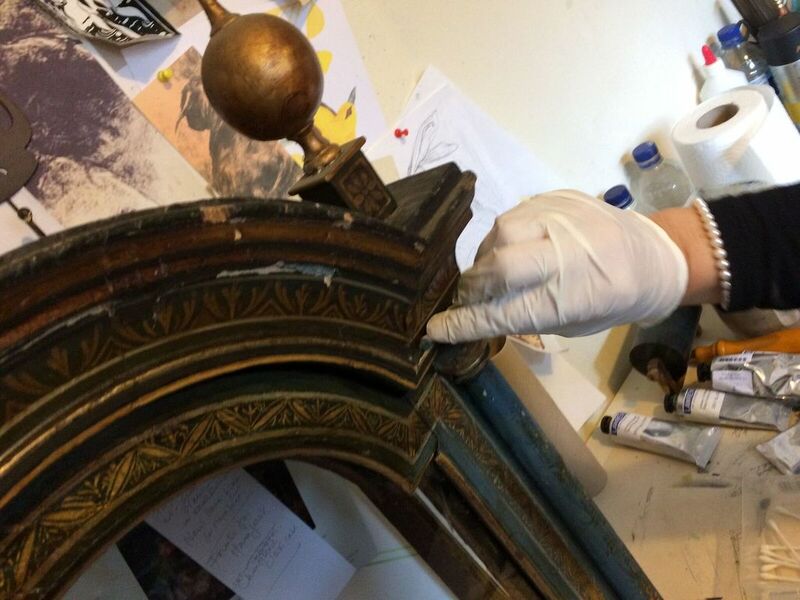 From cleaning, to preservation, up to museum quality restoration. Cabinet work can be included, as well as surface restoration. 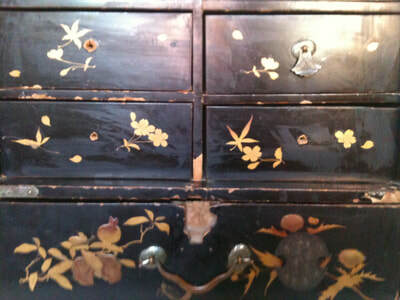 Talk to me about your project, without obligation. ​to the raised gilded work. 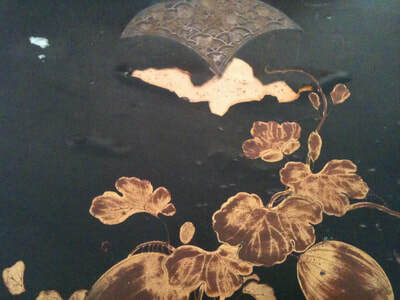 Gloria has produced modern Chinoiserie designs, which have been applied to panels, modern cabinetry, fabrics, and wallpaper. 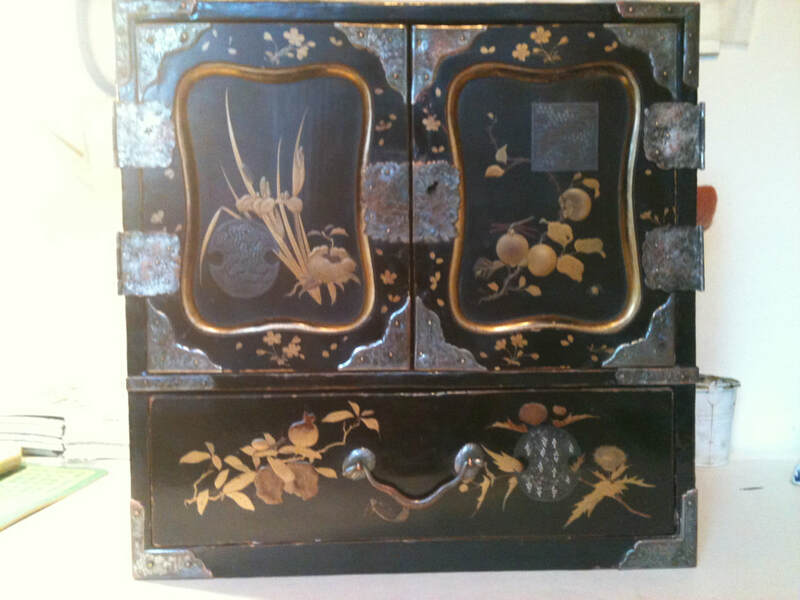 If you would like to talk to her about commissioning new designs please use the contact form, or telephone. Silk Scarf featuring a Chinoiserie design by Gloria. Image© the artist 2015. 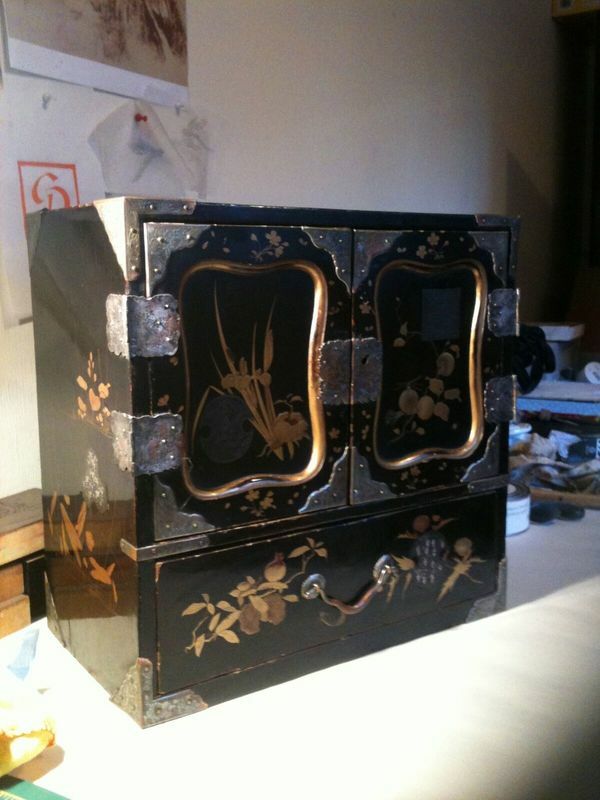 Gloria preparing a Chinoiserie panel for gilding. 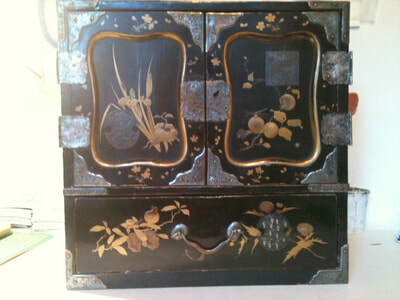 ,Gloria designs Chinoiserie for modern applications from cabinets, fabric and wallpaper designs, panels and watercolour designs used for fabrics and fashion accessories.